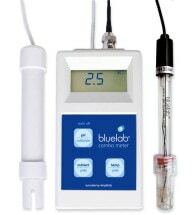 Specially formulated for meters and monitors. 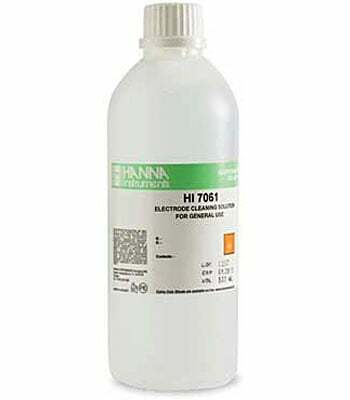 HANNA Electrode Cleaning Solution (HI 7061) will ensure accurate test measurements by eliminating impurities and residues that are left on the sensor’s surface. 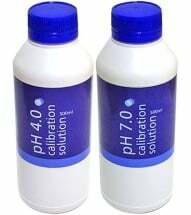 Easy to use, just immerse the probe tip for 15-20 minutes to dissolve mineral deposits or other coatings. 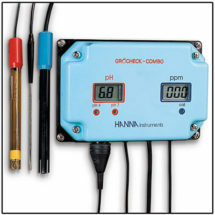 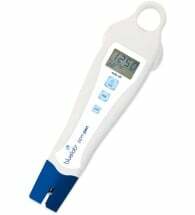 A proper cleaning will ensure that your meter is calibrated correctly and providing accurate readings.